“Black Panther” might be the latest entry into the Marvel Cinematic Universe, but in terms of the overall film timeline, it’s actually set way back in 2016. The story picks up pretty much right after the character Black Panther was first introduced into the MCU in “Captain America: Civil War,” with a few of its key plot elements set up in that movie. To get all of the setup for “Black Panther,” though, you have to go back even further. 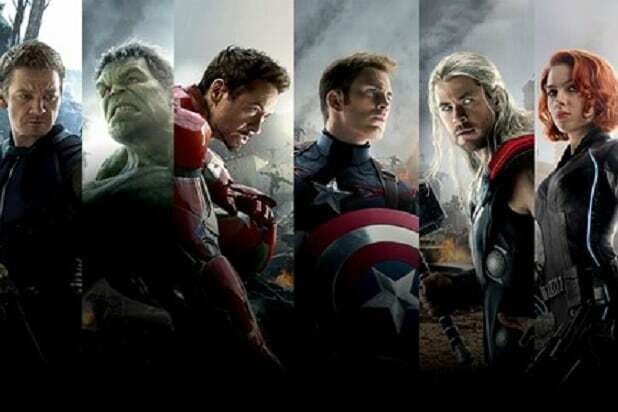 One major character in the story was first set up back in “Avengers: Age of Ultron” in 2015. There were six other MCU movies released between “Ultron” and “Black Panther,” including “Civil War” — so it’s more than possible some fans might be a little hazy on the details. Here are a few items from other MCU movies you’ll want to remember before seeing “Black Panther,” to keep track of how all the stories fit together. Ulysses Klaue (Andy Serkis) is an antagonist in “Black Panther” and one of the few outsiders who’s fully aware of Wakanda. A black market weapons dealer, Klaue had previously stolen a deposit of Vibranium from Wakanda, the only source for the metal on Earth. How Klaue came by that Vibranium is some history that “Black Panther” deals with. In “Ultron,” the titular artificial intelligence finds Klaue aboard his ship in a salvage yard. Ultron (voiced by James Spader) threatens Klaue to get the arms dealer’s Vibranium. It was Ultron’s plan to use the incredibly resilient substance to build himself a new robot body, which would make him pretty close to indestructible. Black Panther’s powerful suit is also made out of the substance, as the bullet-proof shield used by Captain America (Chris Evans). Klaue relented and gave Ultron the Vibranium, for which Ultron initially paid by hacking financial records to plant money in Klaue’s account. But during the exchange, Klaue asked Ultron if he was designed by Tony Stark (Robert Downey Jr.). That sent Ultron into a rage, and the robot sliced off Klaue’s left arm. Soon after, the Avengers arrived to take on Ultron, and Klaue escaped. When we see Klaue show up again in “Black Panther,” he’s replaced his left arm with a bionic substitute of unknown origin. It’s outfitted with some serious enhancements. Wakanda is pulled into the political events of “Captain America: Civil War” after the Avengers stop an attack in Nigeria. Their actions aren’t fully successful, though, with bad guy HYDRA agent Crossbones (Frank Grillo) setting off a suicide vest in the middle of their fight. Scarlet Witch (Elizabeth Olsen) manages to stop the bomb from hurting anyone on the ground, but when she raises it into the air to get it clear of the marketplace where Crossbones set it off, it explodes beside a building, killing several people. Among those killed in the blast are subjects of Wakanda who were visiting Nigeria on a goodwill mission. The incident leads to the creation of the Sokovia Accords, an international mandate that means to place government oversight on the actions of the Avengers. King T’Chaka (John Kani) and his son T’Challa (Chadwick Boseman) support the Accords, and attend the meeting in Vienna where the Avengers are set to sign it. But the movie’s bad guy, Helmut Zemo (Daniel Brühl), bombs the meeting. T’Chaka is killed in the blast. As king of Wakanda, T’Chaka also carried the mantle of Black Panther. His death means the mantle passes, at least at first, to T’Challa, who sets out to find the person responsible for his father’s death and exact his revenge. The primary conflict in “Captain America: Civil War” is Iron Man (Tony Stark) and Captain America over whether to sign onto the government oversight detailed in the Sokovia Accords. Much of what causes the battle between the two heroes and their supporters, though, is what’s to be done with Bucky Barnes (Sebastian Stan), Cap’s best friend who was brainwashed into becoming the Soviet assassin known as the Winter Soldier. It was Zemo who bombed the Accords signing in Vienna, but he used a disguise to trick the world into thinking Barnes was responsible — part of Zemo’s plan to draw Barnes into the open and activate his brainwashing. For much of the rest of the movie, T’Challa, now the Black Panther, pursues and tries to kill Barnes. If it weren’t for Cap’s repeated intervention, T’Challa likely would have succeeded. By the end of “Civil War,” though, T’Challa has realized that Barnes wasn’t responsible, but that Zemo was. Defying the Accords means that Cap, his supporters, and Barnes are all fugitives, though. What’s more, while Barnes’ memory is returning during the movie, he recognizes he’s still a liability because of his brainwashing. A post-credits scene in “Civil War” shows that T’Challa chose to help Cap, with the two putting their differences behind them. Barnes is secretly kept in Wakanda, where T’Challa’s genius sister, Shuri (Laticia Wright), is working to heal his mind with the country’s superior technology. One other major “Black Panther” character also was first introduced in “Civil War.” That’s Everett K. Ross (Martin Freeman), a CIA operative stationed in Vienna as deputy commander of a joint counter terrorism task force. Essentially, Ross is the agent in control of the government operation to find Barnes in the wake of the explosion at the signing of the Sokovia Accords. Ross is on-hand during many of the events relating to Barnes’ capture and T’Challa’s attempts to stop him. He’s also in charge of imprisoning Barnes during the film, and later, T’Challa turns Zemo over to Ross after capturing the terrorist. In “Black Panther,” Ross is found working in the field as a CIA agent. That suggests he might have lost his command in Vienna following the events of “Civil War” and Barnes’ escape.